MUMBAI: Musician Sherrin Varghese, who is coming back with the boy band - A Band of Boys – along with Karan Oberoi, Danny Fernandes and Chintu Bhosle, says the trend of remaking old songs is infuriating. Sherrin told IANS in a statement: "Bollywood is currently trending on remakes of old songs in new movies so that the music labels who hold the rights to these songs can rely on the recall value of the song from yesteryear's airplay and hope that the new version with a new verse catches on without much marketing spend thereby drawing attention and generating box office revenue for the film." "This is an infuriating trend because most noteworthy music directors are being asked to do so by the producers of the film who in turn are being forced by rogue music labels to do so or leave the film. In my opinion this will pass as it's a matter of time before people need new material," he added. 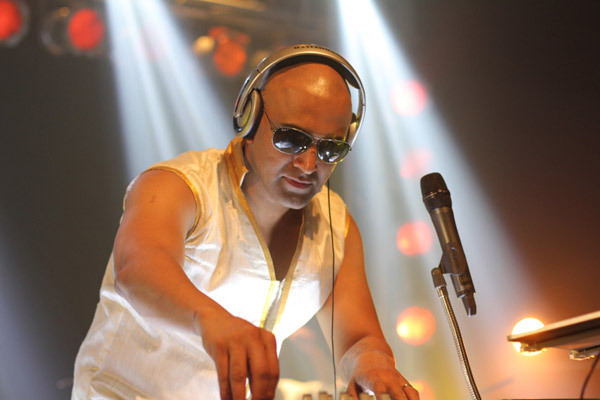 Prior to the formation of A Band of Boys in 2001, which at the time had Karan, Sudhanshu Pandey, Siddharth Haldipur and Chintu, Sherrin featured on the hit TV show Movers and Shakers as the front man of the Rubber Band. He has also featured in Malayalam film Double Barrel in 2015. MUMBAI: After giving a glimpse of their latest single at the Worli Festival A Band Of Boys now releases their well packaged song Chhori. MUMBAI: Hailed as India’s first boy band, A Band Of Boys made the audience get up and groove along during their performance at The Worli Festival 5.0 in Mumbai. MUMBAI: Internationally acclaimed music maestro A.R. Rahman has witnessed loss in the form of his old friend and guitarist John Anthony. A popular musician, John, who was famous for his rock music, died of a cardiac arrest last Friday. He was 62. MUMBAI: Lyricist Prashant Ingole of Malhari fame has made his debut as a composer with a song dedicated to Bollywood superstar Salman Khan, who turned 53 on Thursday.